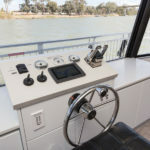 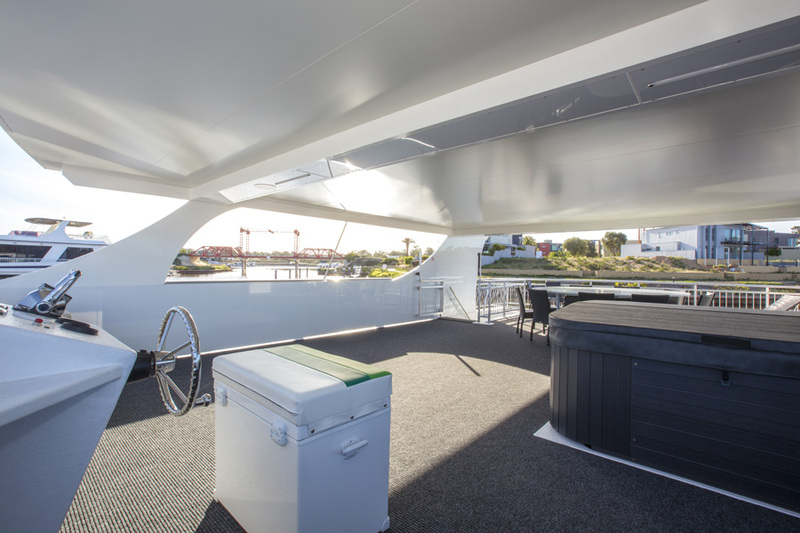 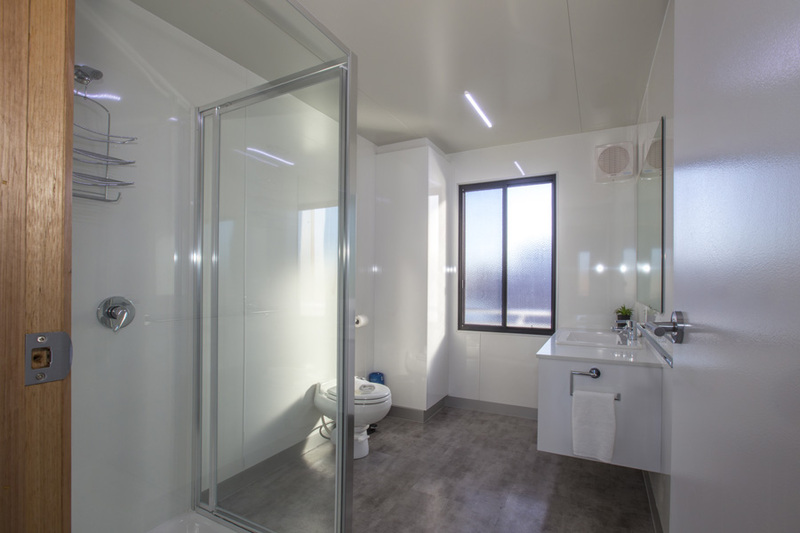 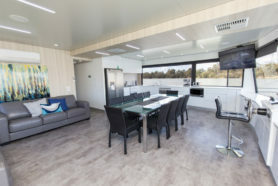 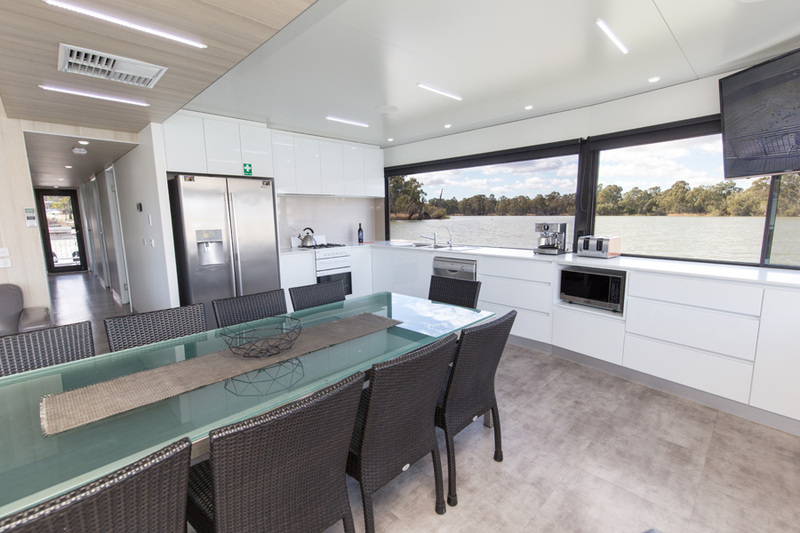 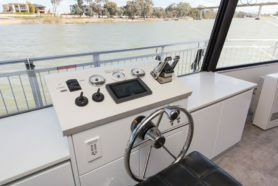 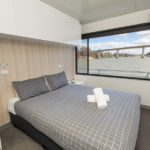 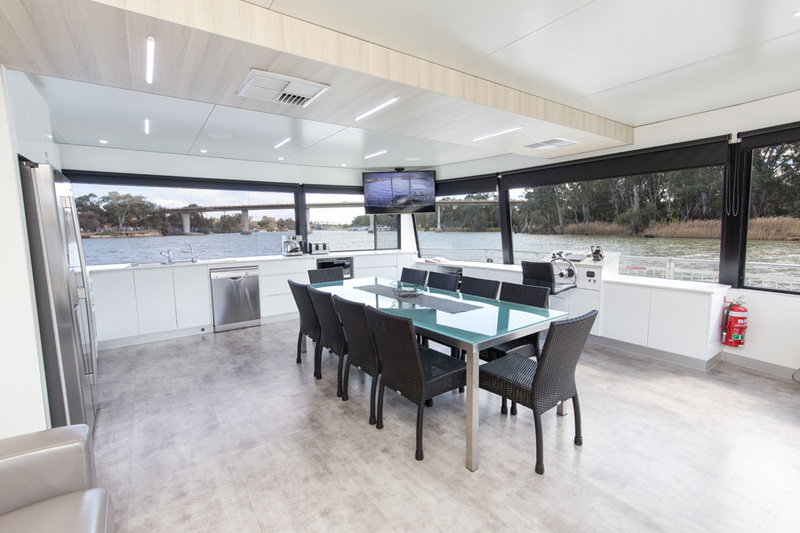 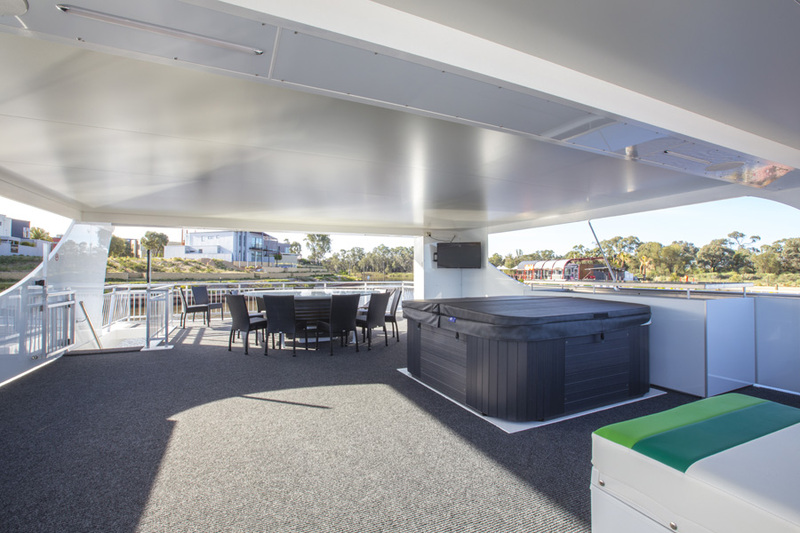 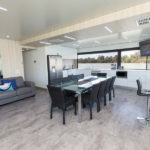 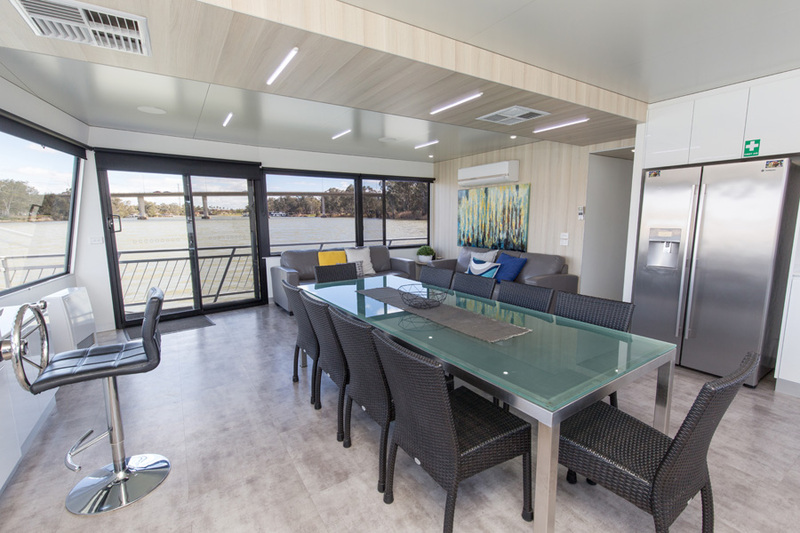 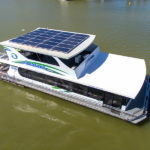 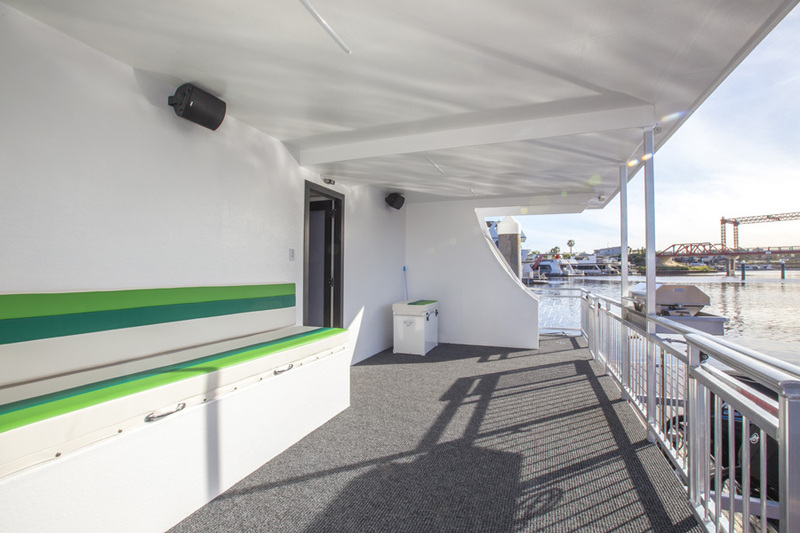 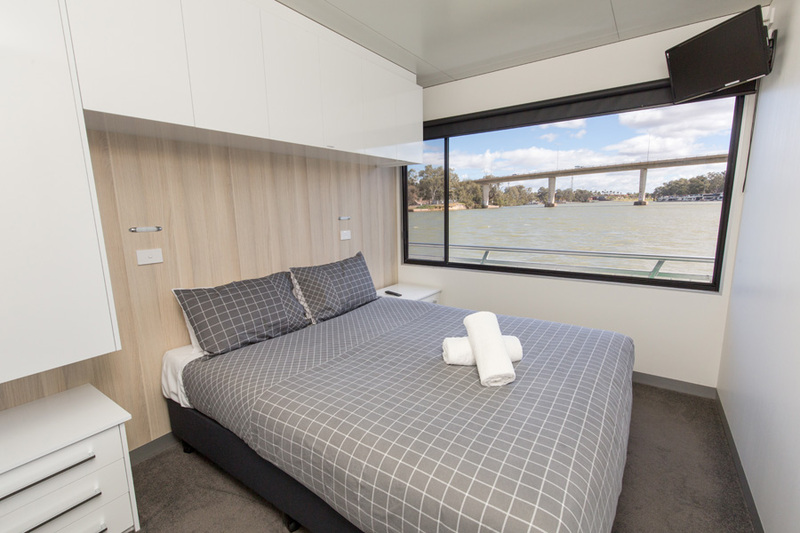 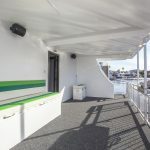 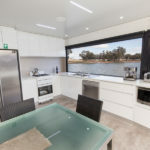 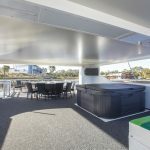 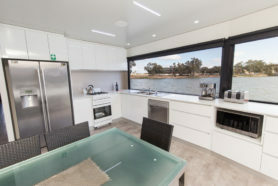 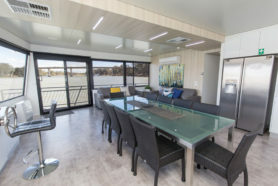 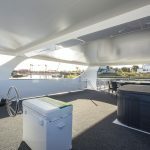 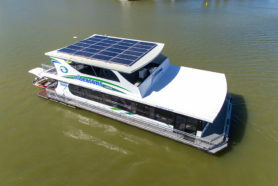 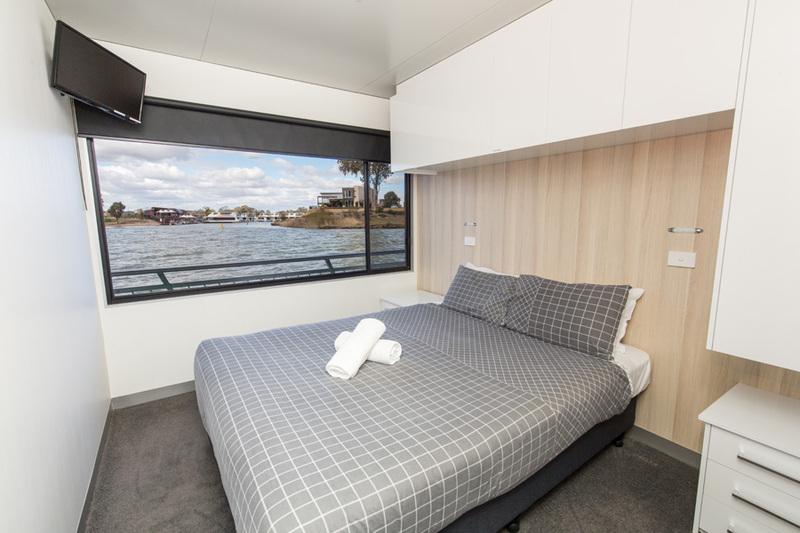 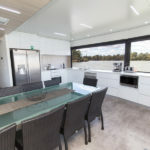 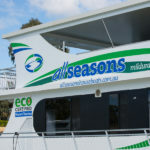 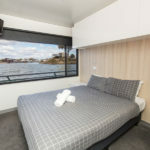 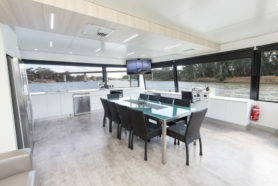 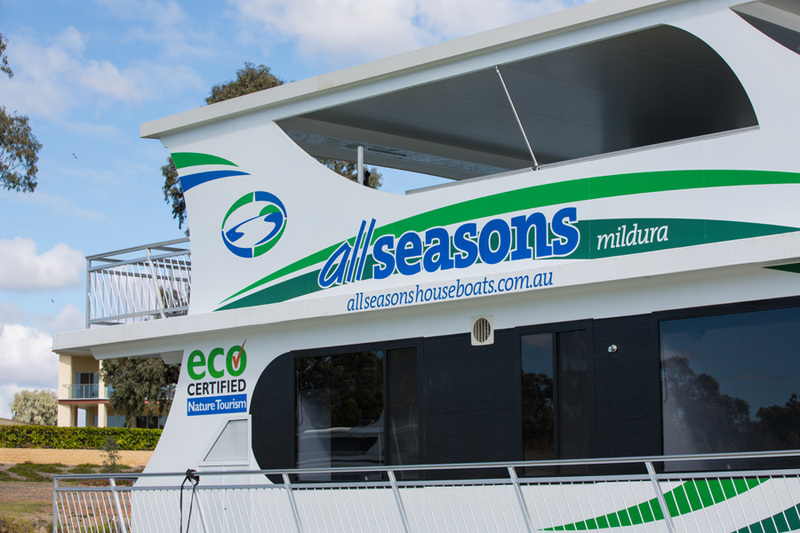 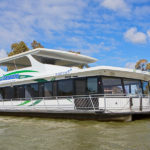 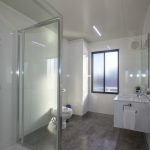 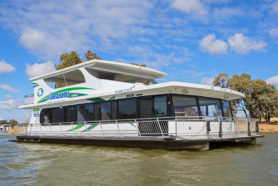 The brand new Ruby Luxury ECO friendly houseboat joins the family luxury fleet and has a massive 9kw of solar power on her roof…more than most homes with all the modern conveniences. The first and only houseboat to be ECO Nature Accredited, Ruby can run solely on solar power, saving our guests great money on their fuel bill. 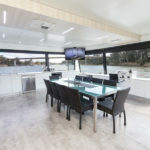 Ruby Luxury is great for families, friends and couples. This boat has everything you need for a fantastic river holiday. 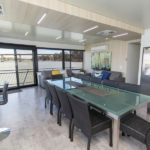 The well appointed kitchen, dining & lounge overlook the front deck with outdoor dining & BBQ, creating a great space to have fun with family and friends. 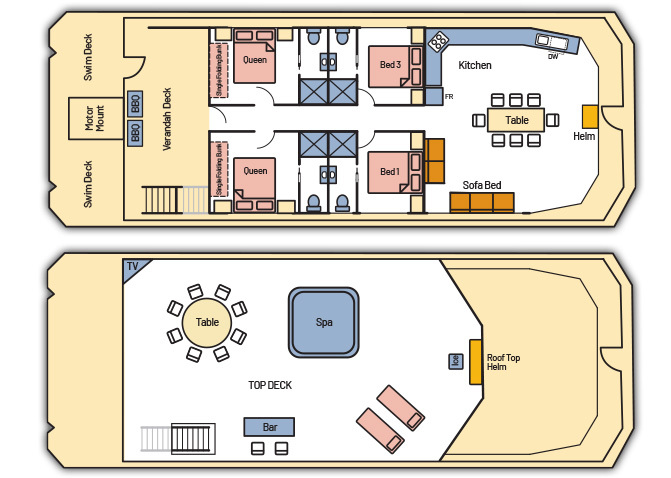 The 4 bedrooms offer great flexibility from queens to singles to bunks, all with personal TV’s. On top you’ll find a luxurious spa, roof top helm, sun lounges & a great place to relax whilst cruising along the river. 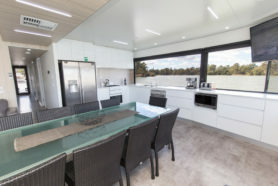 FREE PolyCraft Runabout Hire with every Ruby Luxury holiday booked.